A DEMONS Remake On The Way? Way back in 1985, the Italian Horror film DEMONS was unleashed onto the world. Directed by Lamberto Bava and produced and co-written by Dario Argento, the movie really made an impact on the Horror community and the flick still holds up to this day. 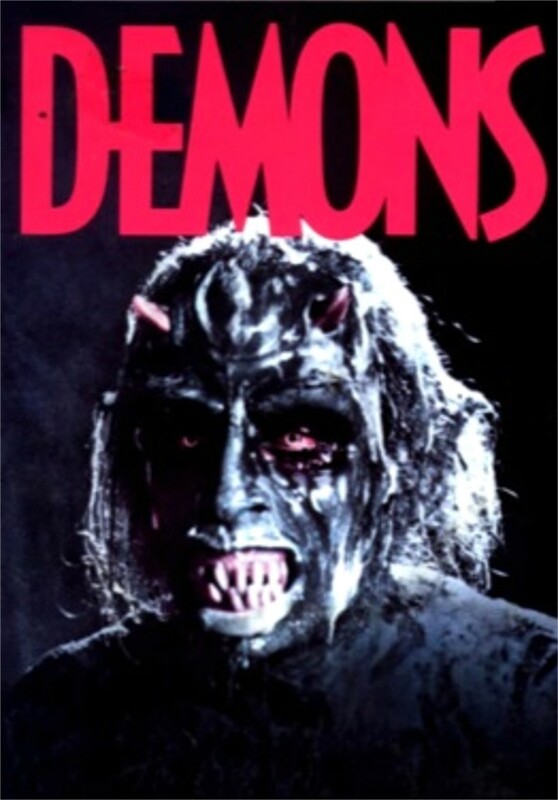 DEMONS had one official sequel, followed by several unofficial follow up films. "We have been speaking about a new Demons movie for a short time now. Dario, Lamberto and myself – maybe a 3D version of Demons, a remake that features the old crew... We go to conventions across the world and people remember our work. So there is an audience out there for a new Demons movie – we are all sure of it." Usually when a remake is talked about, most fans will not be happy about the idea but in this case a 3D remake with the original crew could very well be the way to go. If done properly it could become one of the most talked about Horror films in a very long time. Keep in mind that nothing has been made official at this point as it is only just talk of wanting to create a remake. But the interest is there for sure. "A group of people are trapped in a large movie theater in West Berlin that is infected by ravenous demons who proceed to kill and posses the humans one-by-one, thereby multiplying their numbers." Regardless of anything, we shall continue to bring you more on this story as we hear it.